We are often reluctant in the nonprofit field to reach out to people we know in the local community. No one wants to badger their neighbors, friends or former teachers about volunteering. The thing is, you aren’t badgering them. Your reluctance to reach out cuts you off from a massive talent pool with a vested interest in helping you run community events and programs. Recruiting people you know builds on an existing relationship of trust, and when you encourage them to apply their skills and time to your cause you may be surprised at how eager they are to help you. 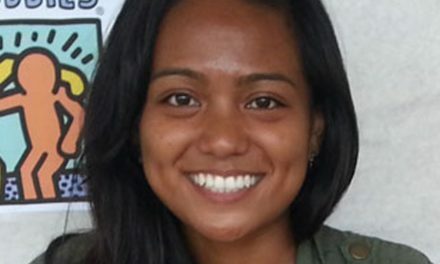 There are so many resources available to attract and retain high quality volunteers online, including free services that connect volunteers with nonprofits in their area. Don’t forget to make good use of social media, too. Young volunteers looking to make a difference in their community are definitely going to look to social media for volunteering opportunities and causes first, so don’t pass up the opportunity to attract younger volunteers with passion and energy to invigorate your cause. There is an unfortunate but pervasive problem when recruiting for your non-profit: people who are volunteering to pad their resume. The work experience that comes from volunteering for your organization adds depth to a resume and demonstrates a willingness to work even when there is no financial reward. While there is certainly nothing wrong with volunteering for this reason (in fact, we encourage it), these volunteers usually quit once they have put in sufficient time add your organization to their resume. 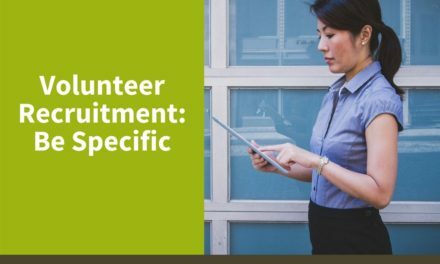 Focusing your recruitment efforts on these volunteers therefore often leads to a high turnover… and that can mean more work in the long run. The good news is these “resume padders” are fairly easy to spot with a few questions about their passion and commitment to your cause. If applicants can’t articulate why they feel strongly about supporting you or are reluctant to commit to long term projects, they are probably not going to be with you for long. Truly passionate volunteers, regardless of age, are going to demonstrate a willingness to commit to projects on a long-term basis should you require it. 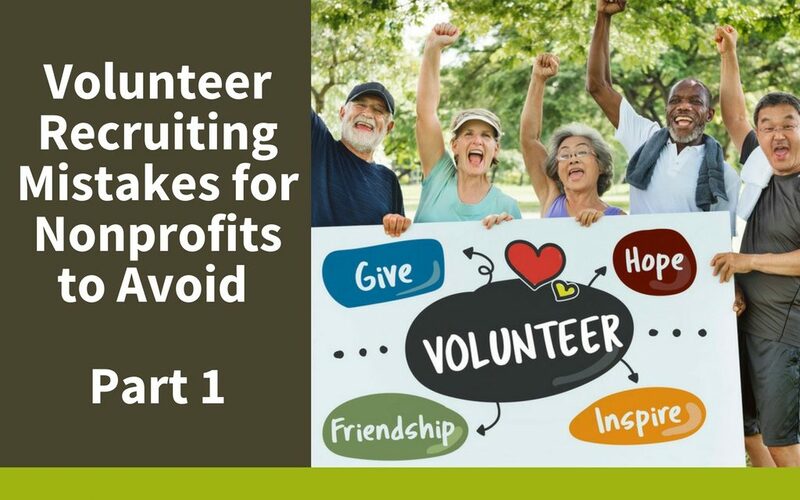 Understanding potential pitfalls of recruiting volunteers for your nonprofit is just the beginning. You will still need to put the work in and make sure people know you are looking for some passionate young people to join your cause. Getting enthusiastic talent on board for you still requires reaching out and signal boosting your call for volunteers via traditional community channels, online, and over social media.